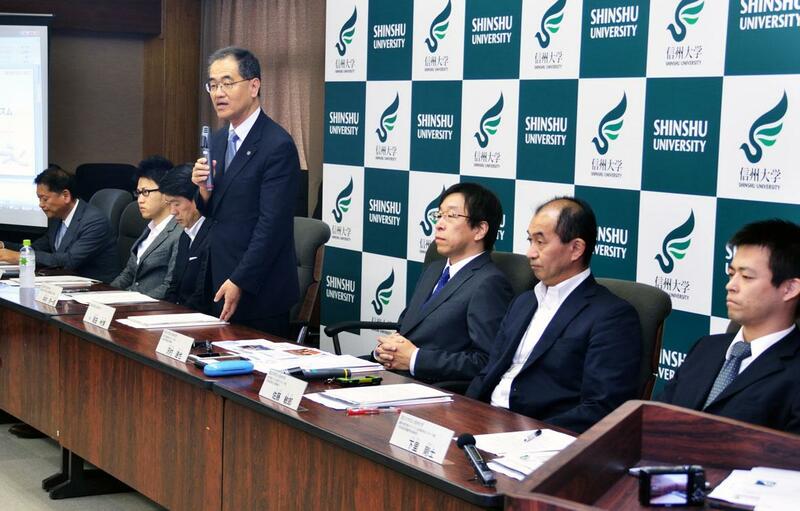 On September 30, 2016, Shinshu University held a press conference to announce the establishment of their next-generation research center cluster on October 1. The University established the Interdisciplinary Cluster for Cutting Edge Research (ICCER) in 2014 with the goal of making further strides in their distinctive fields while creating new, merged research fields. Based on evaluations and revisions of the ICCER, and with the aim of fostering a distinctive group of research organizations to form the next research center cluster, organizers recruited applicants from within the University, screened them and chose the five new research facilities. Representatives from each of these facilities spoke at the press conference, describing in detail the unique qualities of their research, their research missions and so forth.